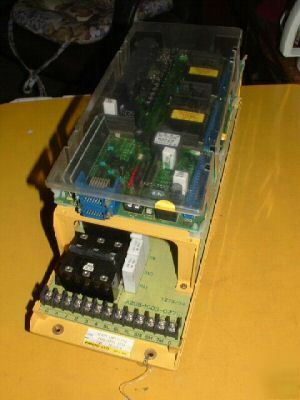 The drive is normally fitted with either Fanuc Model 0S or 5S motors on the L axis and model 0S, 5S or 10S AC servo motors on the N axis. The servo amp is a small yellow cased sized drive unit. This unit comes with our 30-Day Guarantee.